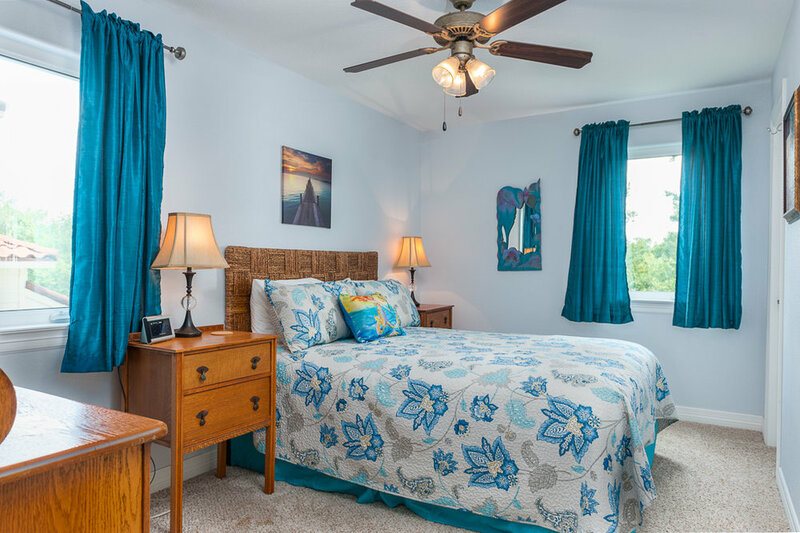 I had the opportunity to photograph this beautiful Clear Lake Shores home this past week. 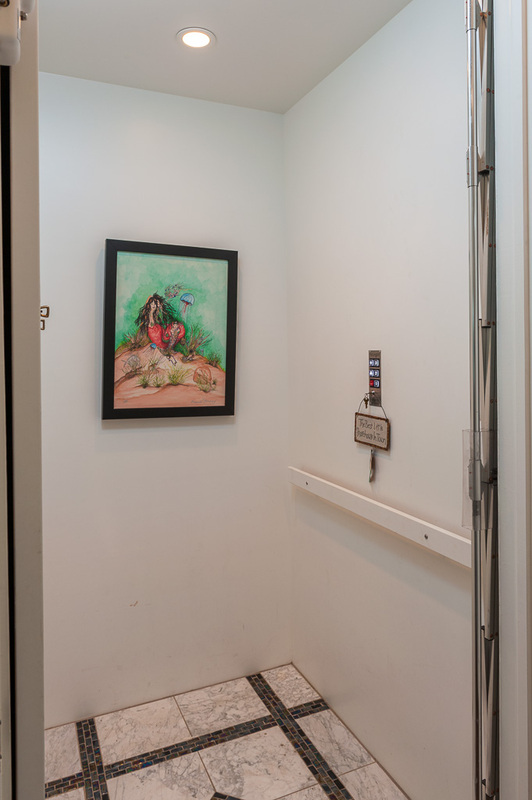 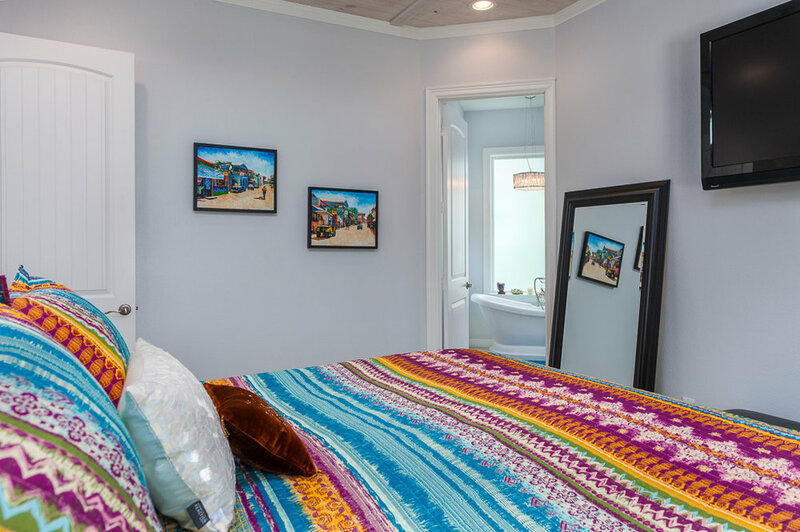 It features 4-5 bedrooms and 4 1/2 baths, a 3 car/golf cart garage with a workshop and an elevator. 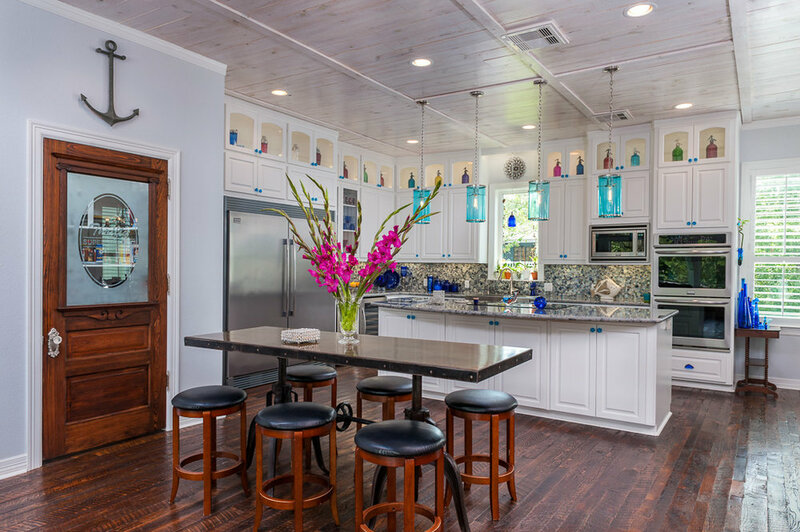 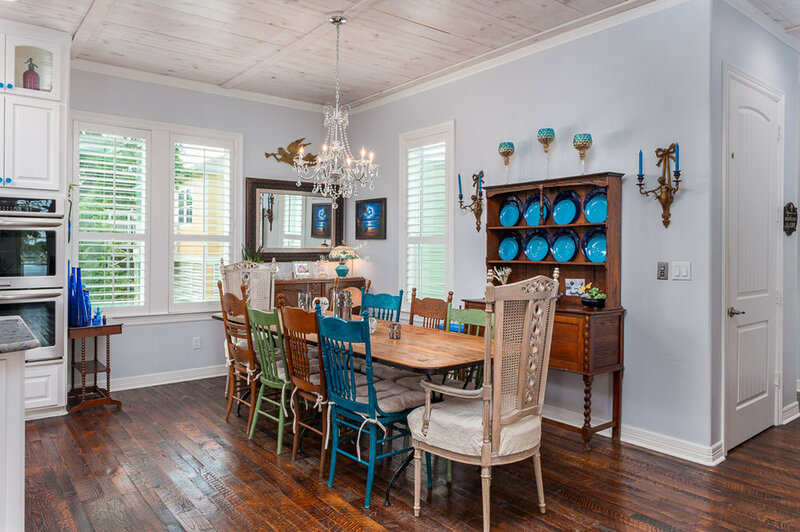 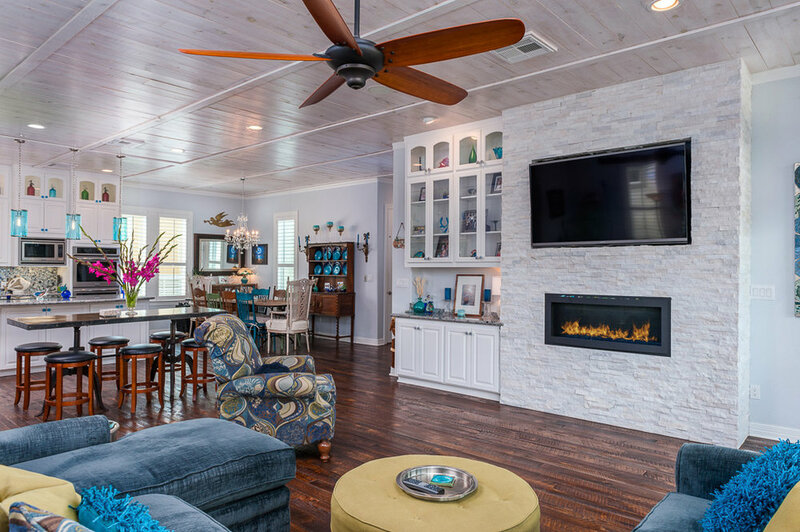 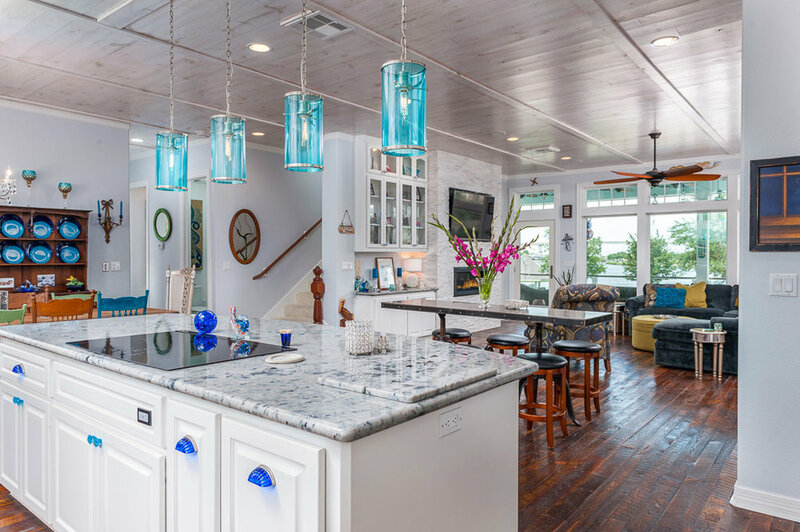 The main living area is an open floor plan with reclaimed hardwood floors, shiplap ceilings, plantation shutters, gas fireplace and an over-sized deck that's perfect for entertaining. 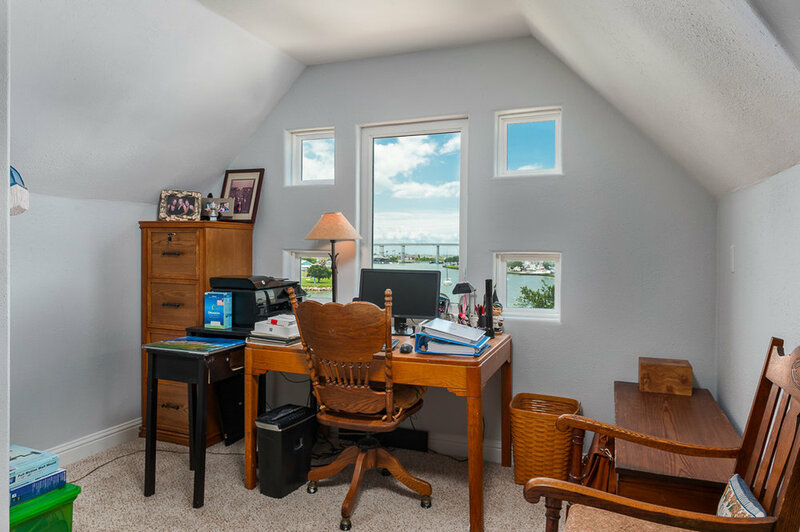 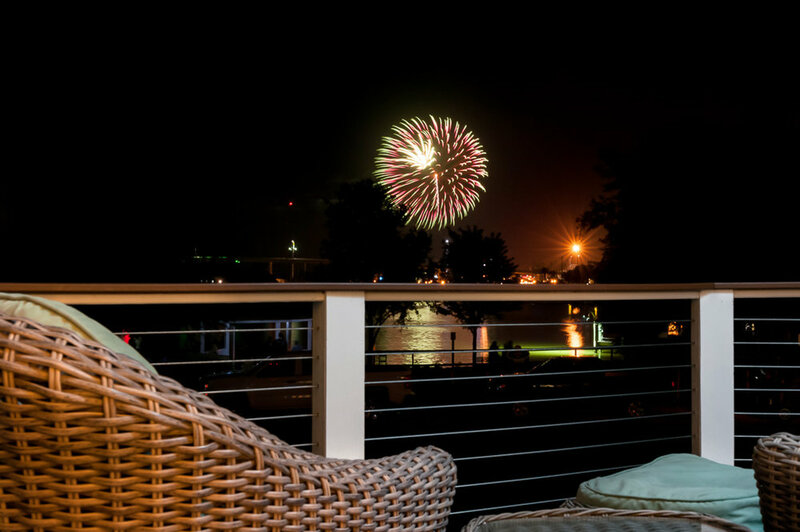 The master bedroom is also on the main floor and has it's own private balcony with fantastic views of the weekly summer fireworks displays from the Kemah Boardwalk. 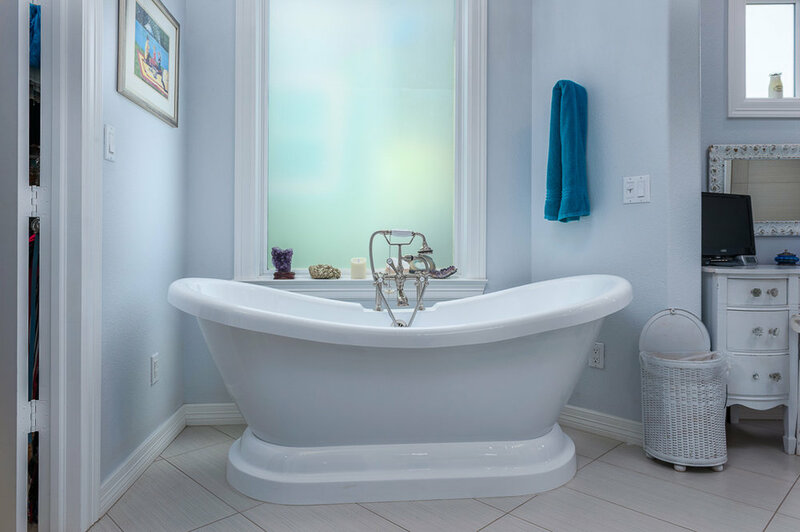 The master bath features a freestanding tub, large walk-in shower and a large closet with valet rods and built-ins. 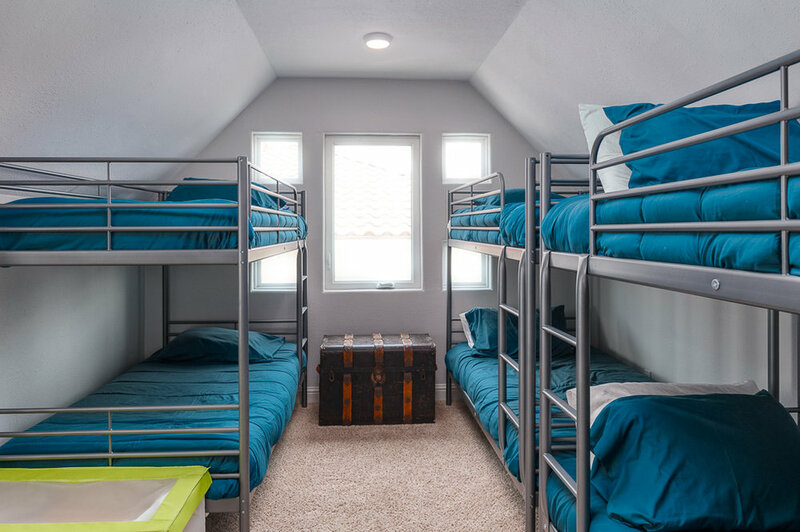 The upper floors host the secondary bedrooms and office.